Why Self Storage for Summer Seasonal Businesses? Secure storage facilities in Texas are often a less expensive and safer option for housing seasonal business equipment during the off-season and year-round as opposed to occupying office or warehouse space year-round or keeping equipment at your living residence. Many storage companies (like Amy’s Attic Self Storage) have multiple locations and offer month-to-month leasing, so you are not locked into unnecessary lengthy contract you may experience with renting office or warehouse space. At an office or warehouse, you may not be able to access your equipment as readily as you need to; many self-storage facilities offer 24/7 access to units. 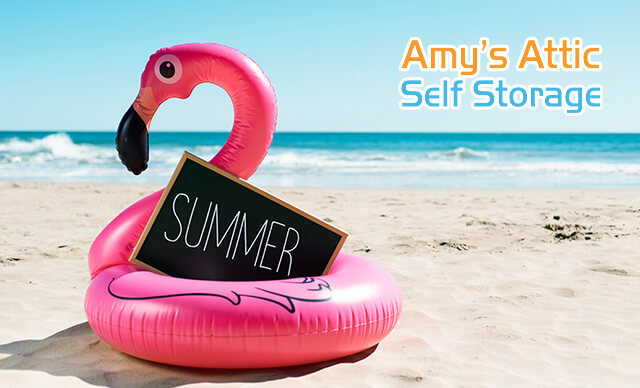 At Amy’s Attic Self Storage, our storage facilities are well-lit and equipped with electronic keypad locked gates, 24-hour surveillance, and optional alarmed units. Another benefit of using a storage summer seasonal unit for your seasonal Texas business is that the units provide a certain level of anonymity that might not be available at other rental spaces, so you can store your belongings without many people knowing they are there which can help prevent theft. Please remember that storing equipment at your home puts your items at risk for being stolen or damaged. Landscaping and lawn maintenance equipment, in particular, are frequently subject to theft when stored at homes in sheds, garages, or on trailers. For seasonal summer businesses like pool maintenance, landscaping, and outdoor adventure companies that require more mobility, you can choose a storage location that is more central and serves as a base for operations, where employees can more easily access equipment and materials as needed. Summer camp can come in many different types…outdoor camps, band camps, sports camps, dance camps, etc. Regardless of the type of camp you are operating, self-storage can be extremely helpful in storing equipment in a safe environment between camp sessions. Sheet music, musical instruments, stand, mats, pom-poms, balls, bats, water jugs, crafts, toiletries, etc. can be kept safe from damage, loss, or theft in a storage unit. Most of these items, especially papers and musical instruments fare better in climate-controlled units. 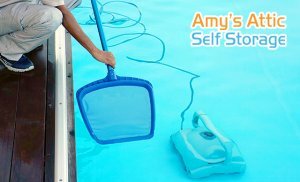 Pool toys, disinfectants, sanitizers, chlorinating agents, nets, filters, umbrellas, deck chairs, etc. can be kept safely in a climate-controlled storage unit, saving money on the cost of storing these items in an office space or warehouse year round. In a climate-controlled storage unit hazardous chemicals can be kept at the right temperature and out of the hands and mouths of children or pets. A centrally located facility can help your employees have more access (24/7) to equipment for projects. Lawn maintenance equipment needs to be kept in a secure location when not in use. Lawn mowers, blowers, chainsaws, etc. are high profile items for theft. Storing your landscaping, lawn, and yard maintenance equipment in a secure storage unit ensures that your items will be kept safe from theft and the elements. Not only does storing these items in a reputable storage facility keep your business assets safe, but this approach is often cheaper than having or maintaining your own storage yard. With 24/7 access to your storage unit, your employees can access equipment whenever it is needed. You can choose a facility that is more centrally located to the majority of your jobs further creating an ease of access. View “Best Practices for Storing Lawn Mowers and Yard Equipment” here. Summer outdoor adventure operations like scuba diving instruction, canoe and kayak rentals, Segway and bicycle tours would be served well to store their air tanks, kayaks, tour maps, Segways, wet suits, etc. at a self-storage facility where the equipment can be kept safe and secure when not in use. 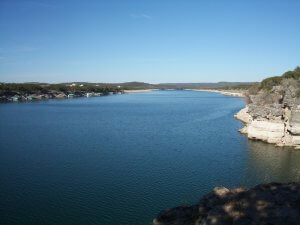 Companies that organize tours or outings to Pedernales Falls State Park or Lake Travis would benefit from storage resources in Austin or Salado. Some larger storage facilities like Amy’s Attic Self Storage also offer options for vehicle, trailer, and boat storage. Amy’s Attic Self Storage is among the most highly rated self storage companies in central Texas. Known for their superior customer service, the friendly and knowledgeable staff would be happy to help you with selecting the unit (size, security, climate-controlled) that is right for your summer seasonal business. 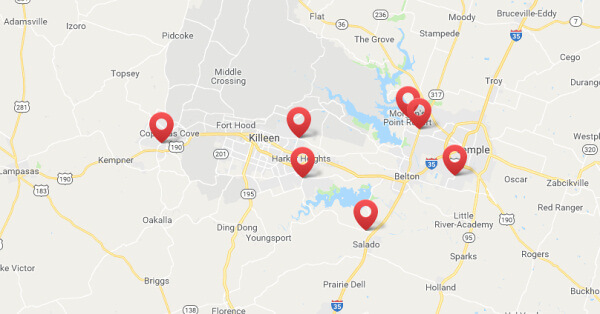 With seven convenient locations located near major roads and highways, you shouldn’t have a problem find a centrally located facility for your business equipment. Amy’s Attic facilities are clean, well-lit, conveniently located, electronic keypad gate locked, and have 24-hour surveillance ensuring your items are safe. 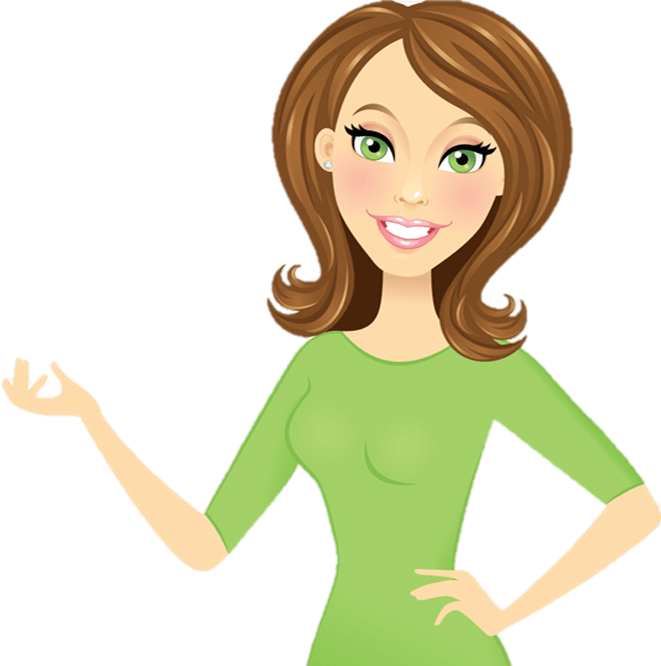 Amy’s Attic also offers month-to-month leasing, several payment options (phone, auto, online), free move-in truck, insurance plan, and more features for your convenience. Don’t hesitate to contact an Amy’s Attic location near you for more information!